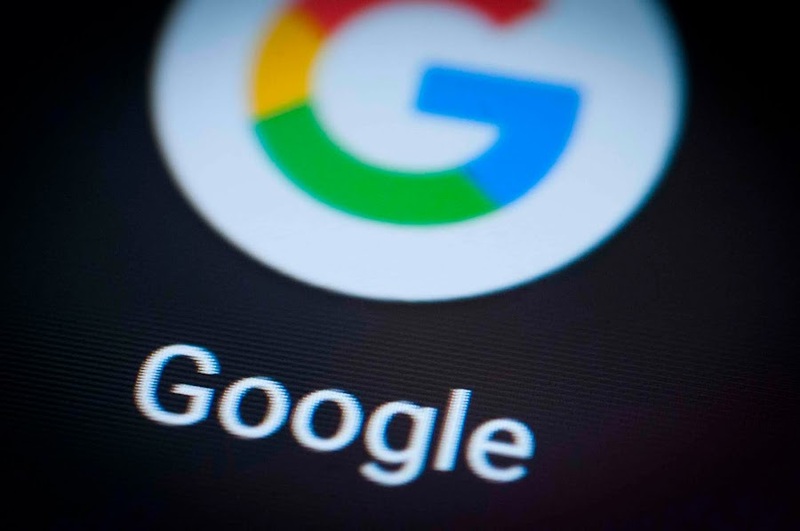 Google’s search ranking algorithm is on a never-ending mission to improve the user experience and match people with the highest quality content relevant to their searches. Each year, we see all kinds of updates that reinforce this mentality. Some are more or less predictable by SEO experts, while others shock even the most skilled specialists to the core. 2018 saw Google make a number of big changes to their algorithms; many of which are going to shape how we navigate search in 2019 and beyond. In this post you'll discover eight of the biggest changes to Google’s search algorithm in 2018, as well as what they mean for 2019. For webmasters, this update was met with applause, as it meant more web traffic from people searching for images. The majority of users, however, saw this change as somewhat of a nuisance and a compromise to the former simplicity of image search. The reasoning behind this change is not completely clear. But, experts believe it might be the result of a legal dispute with Getty Images. Image search is now a much bigger factor in gaining web traffic. Webmasters need to prioritize image alt tags and making the visual elements on their website SEO-friendly. The “Brackets” Core Update began impacting websites as early as March 4th, with the big spike coming on March 8th and continuing over the next couple weeks. Even with Google confirming this update, the impacts were still quite ambiguous. The most prominent observation was that websites were seeing either major gains or losses of rich snippets. In the face of nearly every big Google algorithm update, the primary takeaway is that the goal is to have websites create more compelling and shareable content. However, Google’s John Mueller’s explanation seems that improving content relevance is the main purpose of this change. Organizations are going to need to enhance their E-A-T score by creating high-quality content from expert authors. Moreover, this content will need to gain relevant links from well-known industry websites. In terms of “expert authors,” organizations need to prove why they are a credible source for the given topic. Next, businesses should avoid producing deceptive advertising – which includes overly aggressive or disruptive content. Lastly, websites themselves must be very intuitive and easy for users to navigate. The easy-to-use websites saw big increases in rankings following this update. These answers are related to questions around time, weather, unit conversions, calculations, etc. Knowledge Cards and other answers (like Featured Snippets) are directly related to search intent. While this update primarily impacted direct answers, it’s further proof that content creators need to delve deeper into the searchers they target and what they want to know. This is crucial to rank for more open-ended questions. The momentous shift to mobile is nothing new in the digital universe. While mobile searches have outnumbered desktop searches for several years now, the Mobile-First Index Roll-Out officially recognized this and now prioritizes mobile versions of web pages for ranking and indexing. For the best crawl rates, webmasters need to make sure the mobile version of their website is intuitive and optimized for smartphones and tablets. It’s a safe bet that this will become even more important in future updates. The Snippet Length Drop was one of the more eyebrow-raising updates of 2018. This was mostly because it came only five months after Google extended snippet lengths. For snippets on desktop, the character length went from around 300 to 160. On mobile, this number went down to around 130. While this change will definitely make Google search results look a bit different, webmasters need to make their snippets short and sweet. However, Google has stated that webmasters shouldn’t sink too much time and effort into this – as snippets are often chosen for their dynamism, rather than taken from Meta Descriptions. The internet has been growing more and more video-centric in recent years. This past summer, Google upped the ante and replaced video thumbnails with carousel boxes on desktop searches. The goal of this update is to match user queries with relevant video content directly on Google. These carousels are triggered on the SERPs by queries like how to, top ___, best ___, etc. Organizations need to place a heavy emphasis on producing high-quality video content. There are many good strategies for this. Informational blog posts offering tips, step-by-step tutorials, and how-to guides are prime candidates that can be recycled into videos. The Mobile Speed Update further contributed to the growing importance of mobile in Google’s search algorithms. This change now prioritizes the speed of mobile sites in mobile searches when determining the rankings. The impact of this update wasn’t huge; it mainly impacted the slowest mobile sites on the web for a limited number of search queries. For the most part, this update can be thought of as raising the bar for how fast the mobile versions of websites should be. While many websites didn’t see giant shockwaves from this update, it’s a smart assumption that there will be more updates related to mobile speed in the future. Webmasters need to focus on minimizing server response times, optimizing content, reducing redirects, etc. to improve the speed of their mobile versions. The Medic Core Update of early August was one of the more significant algorithm changes in 2018. Many organizations in Your Money Your Life industries (health, law, finance, etc.) saw huge dips in their content’s rankings. The purpose of this update is to further Google’s never-ending quest to provide searchers with the best quality content. This change hit YMYL industries hardest because content produced around these topics are hugely influential in everyday life. For instance, if a searcher wanted to learn more about the paleo diet or how to invest in the stock market, being served unreliable content can have dangerous effects. Like the “Brackets” Core Update, the big takeaway is that YMYL organizations need to focus on E-A-T Score. When it comes to producing content, organizations need to focus on the credibility of the author. This involves optimizing bios to show why they are qualified to write such content and the experience they bring to the table. Moreover, when an author makes a claim, they need to use reputable studies and research to back it up. There also needs to be a focus on gaining relevant, high-quality backlinks, getting credible reviews, and having industry influencers validate the author or organization. Lastly, the content platform itself needs to be secure and trustworthy at first glance. This means adding and SSL certificate, trust seals, etc. SEO is something that changes by the day. With all the updates made throughout 2018, you can bet the house that there will be plenty more in 2019. The key to playing by the rules is keeping up with the changes and reading about how it impacts your industry. Best of luck in the new year! Mansi Dhorda works at E2M Solutions Inc. - a Digital Marketing Agency. She is well-versed in all things Content Marketing and Branding. During her free time, she runs her Instagram page for handmade accessories. Feel free to hit her up anytime on her Twitter handle: @mansidhorda.